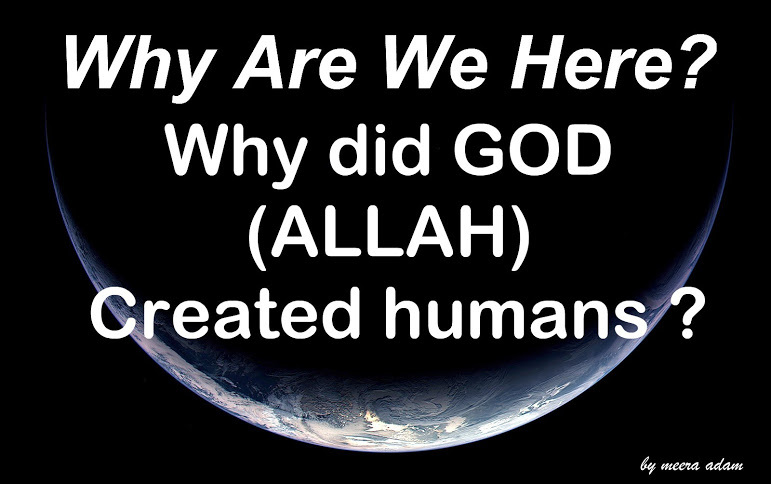 Did you ever think that why Allah created us ? i'm sure ALLAH HAD purpose to create us ? But before i start. I'd like to let you know that Allah did not create humans or anything else because of a need. Allah does not need anything he creates. Allah is above the creation, and therefore has no need for any of it. So, why we are here? Allah says in the Quran that He did not create all of this for any foolish purpose. He tells us that He created us for the purpose of worshiping Him, Alone and without any partners. If so what did ALLAH command us to do until meeting up HIM? Allah, our Creator, commands us to believe in HIM, pray for HIM ALONE, obey HIM ALONE and follow HIS messengers ,and stay away from evil-doing.There is a guarantee of HIS Mercy in HIS obedience. Now What is going to happen to the previous nations when they disobeyed Allah ?